Chinese Jin Long lost to Robert Henry Milkins 5-2 on Thursday as the English player made it to the quarter-finals of the World Snooker Haikou Open. 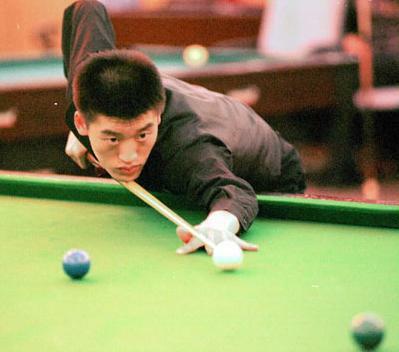 Jin Long made a break of 48 points to win the first frame 68-21 before Milkins pulled one back. Milkins got 67 points with two hits in the third frame and continued to grab the fourth frame, taking a 3-1 lead into the mid-session interval. However, Jin made a break of 71 points to win the fifth frame before Milkins snatched the sixth with a run of 106 points. During the seventh frame, which featured solid defence from both sides, Milkins made a late attack with a break of 39 points to claim the victory. "I didn’t play as well as I had expected," said Jin. "We played quite slowly at the beginning, and I hadn’t expected to win," Milkins said. In Thursday’s other action, John Higgins from Scotland swept away English Jamie JohnAshley Cope 5-0.